The Globe Standard, like its sibling the Globe Violet, is a transformerless FET condenser with a large-diaphragm capsule. The difference between the two mics is in the tuning and tone of the capsule. The Standard has Violet’s VD67 capsule, a dual-diaphragm, dual-backplate design modeled to produce the sound of Neumann’s K67 capsule. Both membranes are made of 6-micron Mylar. The rear diaphragm is assumed to not be sputtered, because it need not be part of the circuit to produce the mic’s cardioid pickup pattern. Both Globe models, and the company’s near-lookalike Global Pre head amp, contain the same transformerless amplifier circuit design. 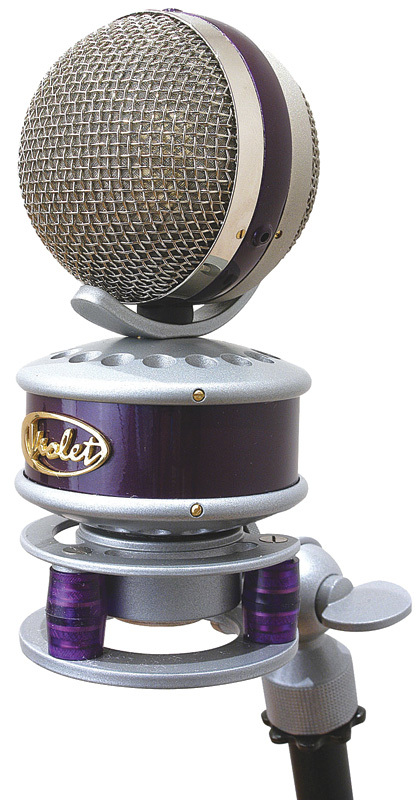 The VD67 capsule can also be found in Violet’s Amethyst Vintage, which like this mic utilizes a low-noise, transformerless amplifier circuit. The mics produce noticeably different frequency responses, due primarily to the differing shapes of the headbaskets and microphone bodies. 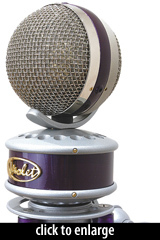 The Globe standard ships in a padded wooden box with a shockmount (Violet p/n GSM).